Join children and adults around the country to celebrate the benefits of bicycling on Michigan’s Bike to School Day. On average, more than 50,000 students from over 250 schools in Michigan take part. National Bike to School Day builds on the success and popularity of International Walk to School Day, an event celebrated around the world since 1997. Hosted on the first Wednesday of the first full week in May, Bike to School Day is a great kickoff for National Bike Month. 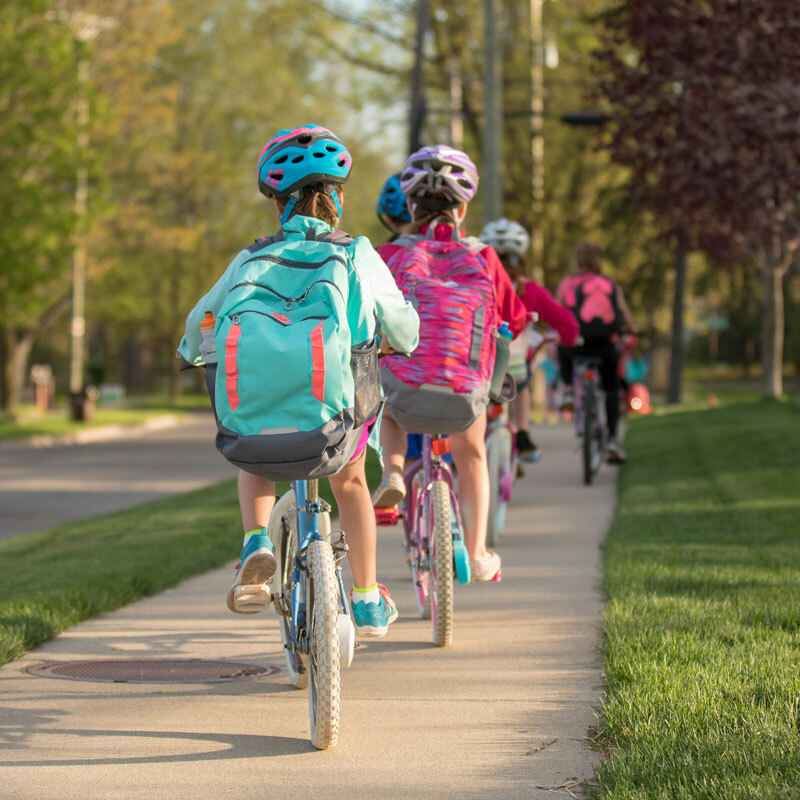 Bike to School Day is a great way to bring students, parents, community leaders, and other stakeholders together to promote walkable and bikeable communities. Every school or community can engage in a wide range of activities such as recognizing local groups or champions. Bike to School Day events can be simple or complex. For example, one school might host a big event and then hold additional, low-key events over time. Another school might start simple and then build efforts in later years. The key is to make the event something that will resonate with families, the school, and the broader community by tapping into what they care about. Promoting your event in the community can help build awareness of a specific theme or cause such as healthy habits, neighborhood safety, or a sense of community. The Safe Routes to School (links to new window) team can provide you with resources, planning assistance, a packet of information and incentives for your event, and an opportunity to be showcased in our newsletter. Additional event ideas, resources, and planning materials can be found at the National Walk & Bike to School website (links to new window).